In today’s global economy it is becoming more and more common for people to conduct their business without ever meeting face to face, or at least rarely meeting face to face. There are so many tools and gadgets that allow you to connect digitally and even make it easy to do business, share files, and take care of other business-related tasks all via the internet or a cloud system. There is much less of a benefit to having people sitting in an office space where their employer has to pay for rent, electric, heating and cooling, among other utilities that are required for someone to operate a business. 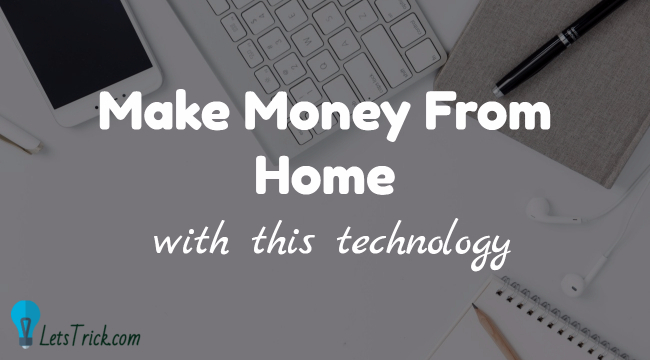 With all of these great reasons to offer remote based jobs, it is becoming easier and easier to sit at home and make money doing a variety of things online. Some jobs are more structured than others or require more of a time commitment, but there are plenty of options if you are looking to work from home. One of the pioneers in online retail was eBay. Not necessarily a direct e commerce store like Amazon, but more for the people. eBay is a great way to sell items that you no longer want or need but still hold value. You can sell both new and used goods as long as you are clear about their condition when posting. I like to think of eBay as a cross between Amazon and Craigslist. If you are looking to make money from home, I suggest you start going through your attic to see what you can sell online. There are plenty of guides and tutorials that can give you tips on how to make the most sales or other useful info. One of the most popular ways people are making money these days is through Airbnb. This start up functions through a website and a mobile app, allowing you to rent out your home from anywhere from one night to longer term agreements lasting months. There are some regulations depending on where you live but the basic idea is that you are renting out your home like a hotel. Many people are taking advantage of the popularity of this service and are beginning to rent out properties that they are not actually living in. Having several properties that function only as Airbnb units can be one of the most lucrative ways to make money like this. When I was searching for online work I saw so many of these types of jobs that it made me wonder if there were any companies that offered in person customer service anymore. I guess it would depend what type of company they are, but for the most part, operating via the phone and web seems more efficient. Most of these types of jobs require a strong phone and internet connection, a good headset with a microphone, and the ability to type fast while answering questions.